I try to share with readers in real time what I’m doing with my money so others may benefit. After shopping around for various mortgage refinance rates when the 10-year bond yield collapsed to 1.6%, I locked in a 5/1 ARM at 2.375% with -0.125 points compared to my existing 2.625% rate. If my ARM resets today, my ARM would jump to 3.4% due to LIBOR, which is what I’m really hedging against by refinancing now. A 2.375% 5/1 ARM essentially means I have a mortgage that is basically FREE every month because I can invest my money in a 12-month CD for 2.5% with CIT Bank. For example, with a $1M mortgage, I’m paying $23,750 a year in interest but would earn $24,200 a year in interest if I locked in a 5-year CD with the same principal borrowing amount today. In other words, my effective mortgage interest rate is negative. Not everybody will have the capital to conduct such an arbitrage. That’s fine as it takes time to save a bed of cash. What’s more important as a borrower is to RECOGNIZE the existing arbitrage so that at the very least, you know you are getting a fantastic deal when such dislocations occur. The below chart is a snapshot of my actual Adjustable Rate Mortgage (ARM) terms. This 5/1 ARM is tied to the one year LIBOR rate + a margin of 2.25%. At a total interest rate of 2.375% for the first five years, the bank only makes a margin of about 1.24% above LIBOR. The initial fixed rate periods of an ARM (1,3,5,7,10) are subsidized rates, which you should take advantage of before the ARM adjusts. It’s similar to using a credit card to buy things for a 30-day interest free loan, just not as bad if you don’t pay your bill because credit card interest rates are usuriously high, while ARM mortgage rates are capped. In the sixth year, the bank can raise my interest rate by as much as 2% to 4.375% fixed for the rest of the year, if LIBOR rises to 2.125%. 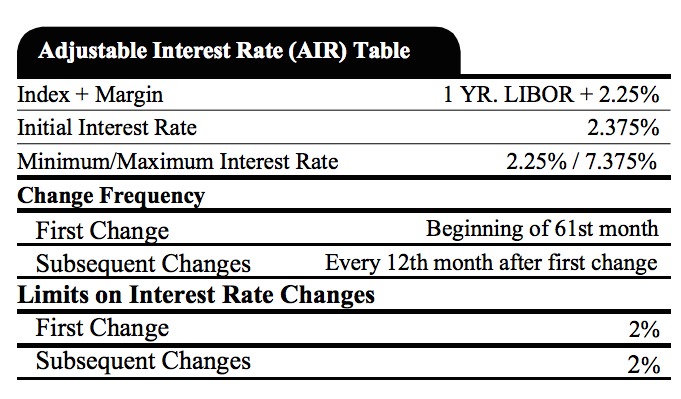 My interest rate can rise by another 2% to 6.375% in year seven if LIBOR rises to 4.125%. The maximum interest rate the bank can charge me is 7.375% starting in year 8 – 30, which is equivalent to LIBOR at 5.125% (5.125% + 2.25% margin = 7.375%). As an ARM holder, you’ve really got to take a view on where short term interest rates (LIBOR, Fed Funds rate) and long term interest rates (10-year bond yield) are heading. With evidence of deflation around the world, I do not see Central Bankers raising their overnight borrowing rates aggressively. Perhaps LIBOR could rise from 1.14% today to 2.125% in five years, but that would indicate healthy inflation, which would also portend to a healthy increase in property values. A mortgage interest rate of 4.375% is not that much at all. Besides my belief that interest rates will continue to stay low for longer, another reason why I’m very sanguine about refinancing into another ARM is because in five years, my principal will be about 12% less if I don’t pay down extra principal. Therefore, I’ve got another buffer if rates do rise. WHY SO MANY DIFFERENT INTEREST RATES? The reason different financial institutions have different CD and deposit interest rates is because financial institutions all have different capital needs. Banks make money by attracting deposits, paying an interest rate on those deposits, and lending your money at a higher interest rate to make a spread. My 2.375% 5/1 ARM is with Citibank. But when I go to see Citibank’s 5-year CD interest rate page, they show only 0.5%. This means Citibank is flush with cash and is in no need to attract more capital. They are probably over-capitalized and need to find ways to deploy their deposits to boost their earnings. If you are a financial sector investor, an easy due diligence is to simply check the latest deposit and CD rates of various financial institutions. The higher the financial institution is paying, perhaps the more balance sheet risk there is. For example, before Washington Mutual got acquired for pennies on the dollar, they were offering 4-4.5%, 5-year CD rates even though the overall market averaged closer to 2%. Now, the best CD rate is by CIT Bank with their 12-month, 2.5% CD. This was unheard just several years ago, when you could only get 0.5%. But due to the Fed raising rates, the short end of the yield curve has really risen. After such a huge rise in the stock market and real estate market since 2010, it’s a GOOD idea to build up a greater cash hoard, especially since rates have risen. Your mission as a Financial Samurai is to BORROW from over-capitalized banks and LEND to under-capitalized banks. Whenever you see CD interest rates pay more than mortgage rates with the same duration, you must take action by refinancing your debt. There’s no clearer sign that you are getting the best mortgage rate possible at the time. With rates this low now, I wouldn’t be in a rush to pay down your mortgage unless you have tremendous excess liquidity or debt levels far beyond a comfortable level. Develop a system where a percentage of each dollar is used to build your risk-free fund, invest in the stock market, and pay down your highest interest rate debts. With my latest mortgage refinance, I plan to live in my house mortgage payment fee by tethering my CD interest income of ~3% towards my new mortgage interest rate of 2.375%. Who said living in a city like San Francisco is expensive? If you can wipe away your living costs, you can now free up a tremendous amount of cash flow to invest or do whatever your big heart desires. Now I’ve got to figure out how to eat well for free. Any suggestions? What an interesting concept. Now all I need to do is locate the spare million or so dollars lying around. LOL! I actually came across this article because we may be doing a purchase of a property for a family member and they’ll finance it at 0%…so I was looking to see if a 0% personal loan was considered a gift per the IRS. I expect it is. Great website, great article! I just discovered your website and I’m slowly making my way through your articles …. great stuff, thanks for your contributions! I haven’t read all your mortgage and real estate articles yet, but I’ve read 2 of your articles which suggest refinancing a current ARM. Perhaps a dumb question, but would you also suggest people with a 30 year mortgage switch to an ARM? And if so, why a 5 year as opposed to a 7? Thank you very much for your thoughts! I really like your blog posts, but sometimes I notice varying positions and recommendations. For instance you have some posts which recommend to pay off your mortgage slowly but surely as you did with your investment properties. But this post is stating otherwise, “With rates this low now, I wouldn’t be in a rush to pay down your mortgage unless you have tremendous excess liquidity or debt levels far beyond a comfortable level.” I;m a little thrown off, but really appreciate all of your articles in general. Situations change. If it’s going to be tough going over the next two years with mass layoffs, hard to come by corporate profits, declining property values, and a weak stock market, paying off a mortgage INCREASE FINANCIAL RISK due to less liquidity. Rates are back down to record lows and not all is good in the economy now. We go in 7-10 year cycles. We are in year 7. Do not expect great returns for the next couple years. Overall, I recommend folks pay down their mortgage by the time they retire. Add to principal pay down during good times or when you have excess liquidity. Slowdown during bad times. But if you are already liquid in bad times, feel free to pay down extra principal to lock in a guaranteed return, rather than hold cash earning nothing or lose money in the market. With a PMI mortgage, the mortgage will eventually be paid off. But you must adjust the rate of EXTRA paydown depending on market conditions. Great response- really appreciate it! House is paid off, but eating for free – haven’t achieved that one. Although eating at parents (or friends) places can be free in some ways (but has other costs – and many benefits). You mentioned how WAMU was offering 4-4.5% before they were acquired. I remember that time. People were running to the bank pulling their money. I thought: It’s FDIC insured right? I dropped 100k in and got a 5% return for a one year CD. If that was only the case today. Was it 5%? Man, that woulda been nice. This is the closest we’re ever going to see to free money. If you’re looking for higher CD rates, the online banks are always going to be the place to go. Whether it’s a high or low rate environment, they’ll always have higher rates because they don’t have an extensive branch network eating away literally half their operating costs. Regardless, if you ever see a bank offering deposit and CD rates that are too good to be true, it’s because they ARE. Besides the fact that those wonderful CD rates will only last a year or so, the bank’s capitalization needs may be more dire than you think. I’m not saying that the bank is about to go under, but it might be in more trouble than you think. Again, another great article about mortgage refinance. As long as the Fed (and stock and bond investors) is shaky at even the IDEA of rate increases, those loan rates will stay low and the ARM will be the way to go. I have a $425,000 ARM that adjusts every year based on the weekly average of the US treasury. My margin is 2.75 and currently the rate is 3% and will most likely go up to 3.375% when it adjusts in May. It’s a rental so I can’t imagine getting a better rate. Also, it’s an old WAMU mortgage so I’d hate to let it go! It’s actually been a great product but the lifetime cap is 9.5% which is crazy high. I’ll most likely sell in 4-5 years. 7K in closing costs is hard to swallow also. Any ideas? If you will sell in 4-5 years, then I wouldn’t refinance at your rate. How long have you had the ARM? Make sure the $7K closing cost DOESN’T include the mortgage interest and property taxes you would have to pay anyway. A lot of people get confused by high closing costs. 18 years left. I think I will put 7K down to principal reduction. It’s also really hard to get financing for rental property. You failed to mention (or maybe I missed it) that if that’s your main residence you should be able to deduct that interest on your taxes somewhat increasing that arbitrage profit! Congrats! It’s pretty much a wash, since you have to pay regular income taxes on the CD interest income. I love this concept, although I’m not quite sure I would call it arbitrage – to me arbitrage implies taking advantage of discrepancies in the same market, but I can see the argument that mortgages and CDs are really the same market, namely banking. Never thought to apply it to a home mortgage though. I think I tended to believe that would require too much of a big chunk of capital. However, this is EXACTLY my plan for buying a Tesla Model S eventually. My plan is to save enough money so that when I invest it, my income will cover my car payment. My interest spread will be a bit wider than your mortgage spread – I’m looking at an 8% investment ROI and a 2.5% to 3% car loan. I’m blogging my progress towards this at my blog roadtoatesla.blogspot.com. Currently, I’m approaching 20% of my goal. Come to think of it, I do make arbitrage plays as well. I borrow from my HELOC and invest at a higher rate than my HELOC charges and pocket the difference. Let me stress this isn’t for everyone and does carry some risk if what you are investing in isn’t a safe investment…. Funny, I think the same way with my car. I could have payed $24k cash when I bought it, but instead financed at 1.9% interest, and used the cash to buy a rental property which cash flows more than enough to cover the car payment. Looking at returns only, it is a good move. But the risks are not equal. That ARM rate that you locked in Sam is very attractive, no doubt about that. I just see things differently particularly in my situation. I have all 30 year fixed loans between 3.375% and 4%. This includes rental property and my primary residence. I don’t have to touch these loans again and will not incur any points or closing cost ever again. The 30 years fixed to me is a valuable financial instrument that will serve me well into the future. I have no current plans to ever pay ahead of schedule on these loans or refinance. That’s totally fine if you are happy with a 30 year loan at those rates. For me and others, it’s hard to stomach paying a 4% interest rate with the 10-year bond yield is at 1.7%, and a 5/1 ARM is at 2.5% or less. That’s a huge spread in a declining interest rate environment. Just look at the 10-year bond yield for the past 35 years. 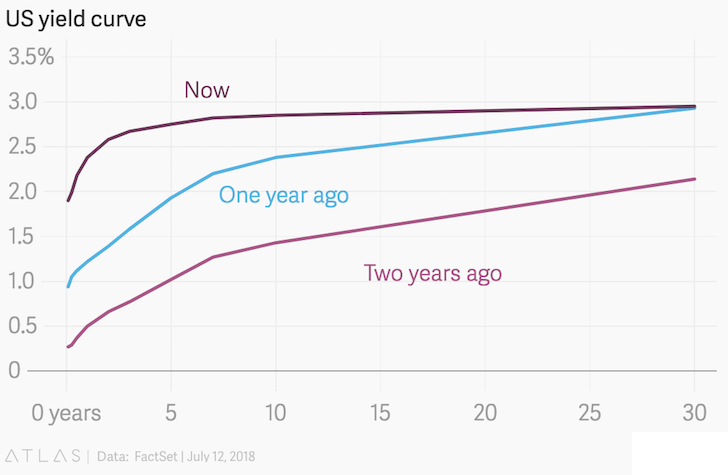 Also, a lot of folks do not plan to hold onto a mortgage for 30 years due to the massive interest accumulation expense and the likelihood we’ll all be wealthier 5, 10, 15 years from now. Do you plan to keep your mortgage for 30 years? Yes I do plan to hold onto these properties for the long term. They are class A properties in good neighborhoods. Rental income is my game so I am going to let them work for me. Anyone having luck in refinancing rental properties? I have two: (1) balance of $150,000 at 5.5% and (2) balance of $240 at 4.75%. I’ve looked at refinancing both, but while I could lower my rates and payments – though also extend the life of the loan – the options just haven’t been appealing enough to make the change. I’ve found it hard to get much better than a 4 – 4.5% rate on a rental property, even at an ARM. Maybe I am looking at the wrong institutions. Rental properties are generally 0.25% higher than primary. Hmm. That is not what I am finding. I am seeing rentals being 1-2% above primary. As I said, perhaps I looking to the wrong institutions. But I have shopped around. Haven’t found anything below a 4%, even for an ARM. According to you, I should be able to find about a 3% ARM for a rental. Sam, where did you get that killer 5/1 ARM deal? I cannot seem to find anything remotely around that rate. I got an e-mail commitment w/ Chase, and then Citibank matched/beat it. I’ve got an upcoming post about reducing mortgage fees you should read that has more. Step 1) Put seeds in ground. Step 3) Eat the things that grow. I’m no urban farmer, but even just the tomatoes and bell peppers I grow on my fire escape are tasty, healthy, and pretty much free. Get out of that Uber car and hustle for your food. If you have a normal American-sized lawn, you could eat pretty well on a victory garden or similar. Plain vegetables are probably better for you than a lot of the stuff you find in the supermarket, anyway. Maybe lose some weight too, since everybody is overweight in America? Why don’t more people do this? What about maintenance, pests, and the water bill? Love this article because I love arbitrage whenever it’s available – most people don’t think of banks are over and under capitalized and treat them all like one massive conglomerate. Take advantage of their short term needs! Thanks. I hope people see this article as a way of thinking about how much they are paying in interest, and how everything is related in the finance world. Refinancing is not a fun process by any means, but it can really be worth it for the savings. It takes a lot of time but if you stay organized about it that helps a lot. I feel like the underwriters tend to ask for the same documents over and over again because they can’t keep track of stuff, so if you have all your files handy it makes things easier so you can quickly resend something if needed. Best of luck with your refi! Do you have any experience with Melrose Credit Union or ELOAN? I don't see them mentioned anywhere else on your site. If the bank is FDIC insured (or the credit union alternative) it likely doesn’t matter if it’s run by Charles Schwab or Charles Ponzi for your purposes. I voted other. I’m surprised “I don’t have a mortgage” is not a voting option. I would refi at current rates though, since I don’t think retail rates are going negative. Good thing there is an “other” catch all option! Interesting concept. I just started lending out money like becoming a bank and getting a good fixed rate back, but it involves risk of course. If the GICs are guaranteed $250,000 per individual and $500,000 per married couple and provide a guaranteed interest rate, they are! instead of asking sam “if i have loan A @ 15 years @ XYZ%, should i refi?”, try doing some math. take total closing costs / monthly savings and that gives you the # of months until you break even. then, ask yourself if you’re going to be in your house in that # of months. Borrowing money form a bank to essentially buy a CD yielding about the same as your bank loans seems like an over-complication of your life and financial situation. I would recommend simply paying off your mortgage if you have the funds and then use your excess monthly cash-flow to dollar cost average investments in equities or other investments. Don’t forget the importance of liquidity. You would be a fool to pay off a $1M mortgage with $1M in cash and have nothing left over as a buffer, or money used to take advantage of investment opportunities. A 5 year CD is liquid…but there is a penalty, maybe 6 months interest? So you lose 1.2% of principal? I guess it makes sense if a really good opportunity arises but that is almost speculation. I appreciate the insight nevertheless. How do you figure you lose 1.2% principle? Keep it at least 7 months and you make something. If your CD pays 2.4% interest a year, and they penalize you six months worth of interest, then your penalty is 0% if hold for six months. It is very rate someone would lock in a LT CD and then need to withdraw early since there should be other liquid funds at one’s disposal. why penalty is 0% if hold for six months? I don’t know. Borrowing money from a bank to invest in CDs seems like a long-term losing proposition. Debt free life-style and excess cash-flow due to no debt is the ideal situation and the one people should strive for. That’s simply my opinion on finances and how I live. You borrow from the bank to buy real estate, not to invest in CDs. The CD interest rate is a marker for you to see how good of a rate you are going. You should invest in the CD with your own money, not borrowed money, unless you can borrow at less than the CD rate and lock in another arb. If you have $1 million in mortgage debt and $1 million in CDs, you effectively have a $1 million mortgage financing your investment in CDs. You can afford the house without the debt. You can’t afford the house and the CDs without the debt. Although you may not want to admit it, you have borrowed $1 million to have $1 million invested in CDs. Sure, if you want to tether your CD income to your mortgage. Or, you can tether your CD income to paying for food, retirement, etc. Living for free feels incredible, especially in a city like San Francisco. Just never forget your liquidity needs. I just bought a house last October with a 3.5% 5/1 ARM. Is refinancing so soon after purchase a bad idea if I can get a sub 3% rate? Certainly not if you can get it for little/no out of pocket expense. I’m seeing 2.5% for 5/1 ARMs right now. 1% is a HUGE spread on a like-for-like product. Just check the fees. I would refinance in a heartbeat. Make sure you get competing bids in writing/email so you can have your bank match or beat. Also, how were you able to get a 5/1 ARM rate at 2.375% if your quote was LIBOR+2.25%? With LIBOR at 1.14, your rate should be 3.39%. How do you negotiate a lower rate? I am currently trying to refi and i was quoted 3.4% so very interested in how you are able to get such a rate. The initial fixed period of an ARM (1,3,5,7,10) are incentive rates. My rate would be 3.39% if my ARM with a 2.25% margin adjusts today. But like I said, I’m not going to let it adjust. I’m going to refinance it. Refinancing rates for ARMs are more contingent on the 10-year bond yield which has collapsed. I just finished up a new post on how to pay the lowest fees possible when getting a mortgage. Stay tuned. I guess the follow-up question would be, how do you negotiate the incentive rate? I just received a jumbo 5/1 quote of 3.4% and would love to know what to say to get the incentive rates! I have often thought about your kind of plan, but in these volatile times – An under capitalized bank that is offering 2.4% on a 5 year CD is more likely to go under in the next five years than the over capitalized one. Unless you stay within the FDIC limit you could be risking all your capital. What are your thoughts.? If you are married you can accumulate $1MM worth of FDIC insured CDs at one bank without doing really anything more than just the most basic planning. If you have kids, even more. If you are single, then just do $250,000 worth at a few different banks. Many of the online banks are within spitting distance of each other on their published 5 year CD rates. Can you suggest 4 banks that are paying 2.4% on a 250K deposit. I am unable to find them. I would call anything 2% or better very favorable in today’s world. Synchrony, Discover, Amex, and Ally all fit the bill. Personally, I prefer to setup a separate trading account of high quality dividend paying stocks than CDs at these rates. Yes, I know they have principal risk, but in the case of a lot of companies, the principal risk is very short term (eg: P&G), and the dividends have 50+ years of history of increasing and pay a lot more than CDs do..and you should over time get appreciation..and if not, you should still be getting that div yield. Just diversify the account and invest in companies with a really long history of div and div increases. I’m still attracted to being completely debt free, but I love the angle. I’ve never really considered CDs as an invstment and I had no idea they varied so widely from bank to bank. I have something similar going on with my rental house, that I am not paying extra on. I have a 10 year mortgage at just a tad over 3%, and my credit union pays 3% interest on our checking account on balances up to $15K. The mortgage is only in the mid 20s so its almost a wash. The concept is similar, but the numbers involved are trivial compared to a $1 Million loan. Smarter people that me argue convincingly that–given the internet’s ability to track down the best rates–non-brokered bank CDs are an excellent replacement for bonds (the safe kind) in an investor’s portfolio. There is a PITA factor that can’t be ignored with “bond-style” CD investing, but Sam’s results speak for themselves. Plus, rates go lower, just pat yourself on the bank and hold on to your 5 year CDs at better rates than are currently being offered. Rates go higher and, once it makes sense, break the current CD and reinvest in a new CD at the new, higher rate. How do you keep your closing costs reasonable (in another article i beleive you said you get charged around $3000)? Every time I refinance, I get charged anywhere from $5000-7000. Article coming up just for you! Stay tuned. Sam– Thanks for another great article. In the upcoming article you mention regarding closing costs, maybe you can tie in some advice on home buying. I am in the process of looking to purchase a home for the first time and hope to close on one sometime within the next six months. I (think) I have a pretty helpful real estate agent, but being a first time home buyer, I am sure I am not aware of traps to be weary of etc. Since you have been through the home buying experience several times, your advice would be invaluable! 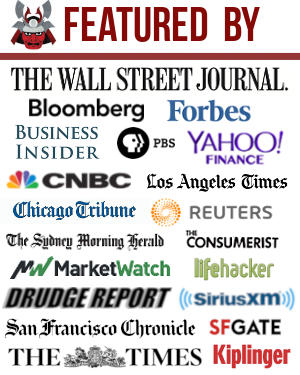 Also check out my entire Real Estate Category archive! Don’t be afraid to walk away from any deal. There’s always another property that comes up. I must have missed these before — Thanks for pointing me in the right direction! Do you think it’s worth to look at refinancing if I have a 3.48% 15 YR mortgage (less than 13 years to pay off mortgage)?